The 6th annual Sticks for Soldiers Thanksgiving Charity Lacrosse Tournament will take place Saturday, Nov. 26, at Fairfield Ludlowe High School's Taft Field. High school lacrosse teams from around the region will participate in the tourney to benefit three servicemen severely wounded while serving in Afghanistan and Iraq. The event, where the teams are each expected to play three games throughout the day, gets under way at 9 a.m. at Ludlowe on Unquowa Road in Fairfield. This year's event will support USMC Sgt. Liam Dwyer of Litchfield, Army Pfc. Josh Budd of Cheshire, and USAF Tech Sgt. Joe Wilkinson of Troy, N.Y., injured while serving in Afghanistan or Iraq. 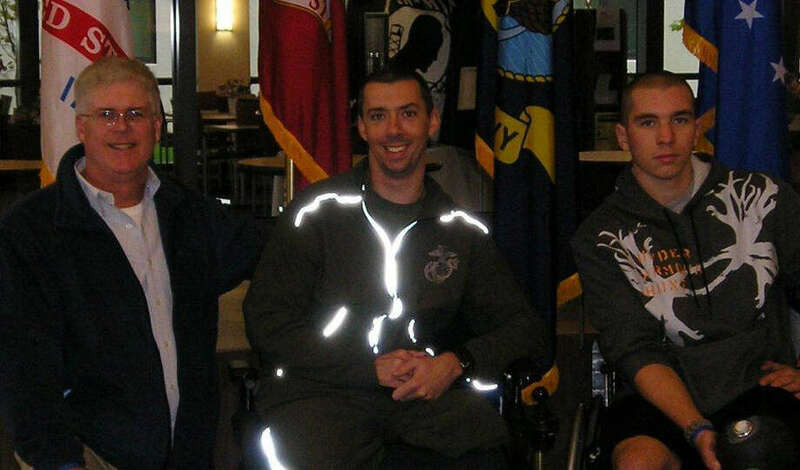 This past spring, both Dwyer, 30, and Budd, 19, were injured in separate IED explosions in Afghanistan. Each soldier lost his left leg and suffered serious damage to other limbs, along with extensive soft tissue damage from the shrapnel. They are both being treated with additional surgery, rehab and prosthetic therapy at the new Walter Reed National Military Medical Center in Bethesda, Md. Wilkinson, 32, has progressive leg paralysis and strength loss as the result of a compromised spinal cord with an unclear diagnosis or cause. He served in the USAF security forces for 12 years from 1997 to 2009. Since returning in 2006, he has had two spinal surgeries and months of therapy and rehab at Walter Reed and the VA Hospitals in Albany and Syracuse. Mostly confined to a wheelchair, he has the challenge of helping to support his wife and three young children in a house needing improved accessibility. Mike Voucas, the founder of Sticks for Soldiers, and Jim Tommins, the tournament chairman, said, "As we mark the 10th anniversary of 9-11, showing our appreciation and raising awareness of the sacrifices made by our service men and women, is especially focused. We are also grateful for the outpouring of support from the teams and all the donors and sponsors. We encourage all players and teams to add to the fundraising efforts and help us to help these three fine young men. Last year saw our five-year effort exceed $105,000, and we were able to help our 2010 honoree Brendan Marroccomove into a completely accessible home. Brendan helped us to identify this years' recipients." Varsity teams from area high schools will participate in a 7-on-7 tournament game format. More than 30 teams are expected this year with more than 450 athletes involved. Team entry fees, raffles and silent auction proceeds will be shared with each soldier for things like adaptive housing, transportation, care-giver expenses, and visitation travel. The tournament opening will start at 9 a.m. and each team should play at least three games. A mid-day ceremony will recognize the honorees.